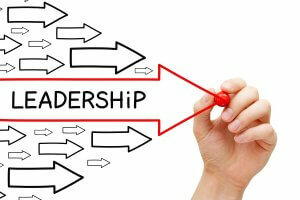 A quick search on google quickly uncovers numerous research articles on what makes an effective leader. In a business situation great leadership is measured in a number of ways. Ask a business analyst and they will tell you that an extraordinary business leader is one who has a positive impact on the company’s bottom line. Ask a marketer and they will tell you that exceptional leadership is to do with how the leader creates a great product and superior customer satisfaction. Both of these views are, of course, correct. But great market results (both in terms of financial results and customer satisfaction) are not down to just one person’s efforts. Instead, extraordinary leaders are those who are able to bring out the very best in others, for in doing so they ensure the entire organisation thrives. 1. They set an example. Exceptional leaders were found to model the way through the creation of values and principles and then acted in accordance with these values. In this way they set an example to those they lead. In other words, exceptional leaders “walk the talk”. It’s not enough for the leader to simply have a vision of how things should be, they need to share this vision with those they are leading and inspire others in the organisation to believe in this vision so that they do the hard work that is needed to bring it to fruition. Being a great communicator is key to achieving this. Exceptional leaders are great communicators. 3. They challenge the status quo. It is all too easy to become complacent with how things are done. Great leaders learn how to step away from the “business as usual” and ask questions that challenge people to think and be more innovative. Leaders, and those they lead, need to be prepared to take risks in order to deliver the vision. 4. They work through others. No one person can do everything and exceptional leaders know they must work through others. This means they need to delegate well and empower the people they manage. Both of these activities need you to build trust and develop your people’s skills and abilities through training and coaching – so helping them to grow. 5. They encourage and motivate people. Great leaders provide those they lead with positive feedback and genuine appreciation. This simple to do, yet much underused leadership skill helps those who work for you build their own level of self-belief and has a positive effect on employee engagement. In doing this, it’s not just recognition of the individual by the leader that is important, it’s also recognising and celebrating collective team successes to encourage a truly collaborative approach to working that will help the whole organisation thrive. How do you measure up to these leadership practices that turn you into an exceptional leader? If you need to improve your skills then take a look at our Executive Leadership Programme.